From the driving, to the parking, to the not knowing where to drive or park, dinner in L.A. is harder than it should be. That’s why we created Dinner Plan — your itinerary to a damn good time. This week, we’re hitting the Petersen for a homegrown automotive exhibit, then continuing with dinner and drinks at two spots that are wonderful for their simplicity. You can almost hear the roar of the engines and feel the G-force of some of SoCal’s most notable race cars by standing in the middle of the 180-degree screen at the center of The Petersen’s new exhibit, Legends of Los Angeles. Up through the end of the month, the exhibit features 11 homegrown racing specimens from legendary engineers like Fred Offenhauser, Harry Miller, Frank Kurtis and Max Balchowsky. Among them, Balchowsky’s 1963 Ol’Yaller Mark IX hotrod, a two-time Baja 1000-winning Ford Bronco by the legendary off-roading team of Parnelli Jones and Bill Stroppe, and more Shelbys than you can shake a checkered flag at. Image credit: Sydell Group and Chase Daniel. 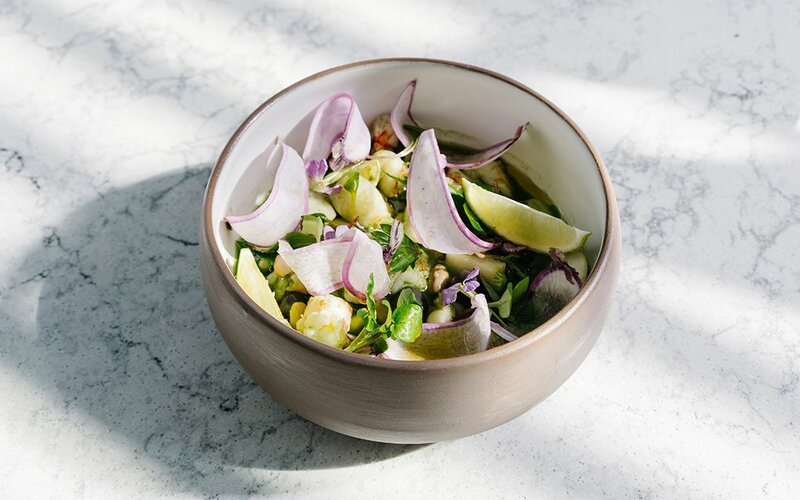 L.A.’s lone Michelin-starred chef, Josiah Citrin, just took over the patio at The Line Hotel, dubbing it Openaire. Whereas Melisse is ultra-high end and Charcoal is fancy BBQ, Openaire is meant to be simple. 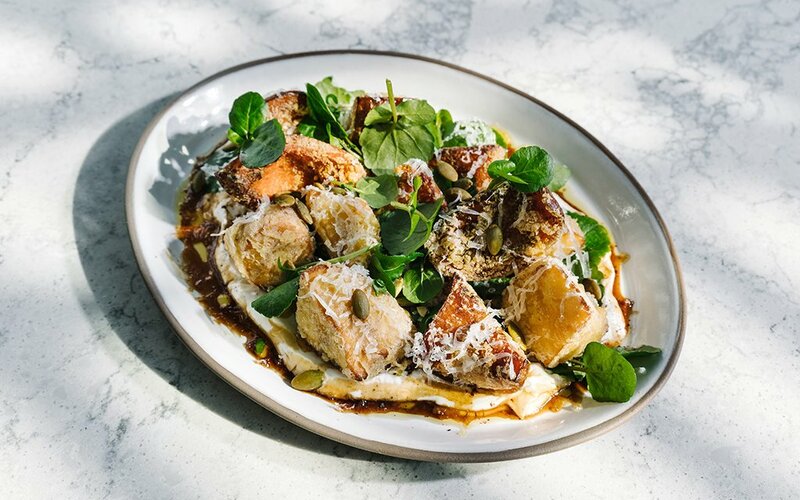 For Citrin, that means the Parker House rolls come with a choice of spreads (ranging from house-churned butter to cashew-arugula-pesto to fois gras parfait) and the dry-aged 32-oz. rib-eye is served the old-fashioned way: cooked your way with two vegetables on the side. Simple. Delicious. The scene at The Line can get young, so be some good lads and head to a dive bar instead. HMS Bounty is two blocks away, serves their whiskey neat (as it’s intended) and always has a joyful crowd. Grab a booth in the main area. Main image: Sydell Group and Chase Daniel.